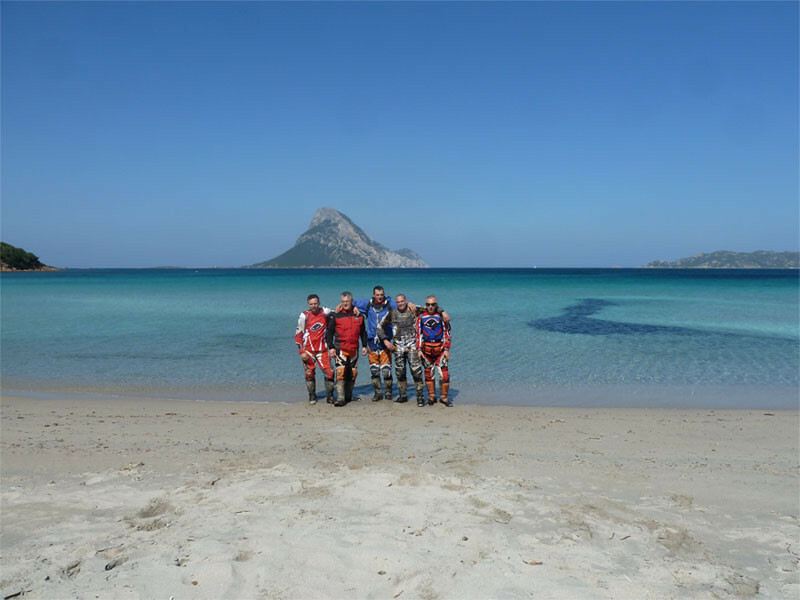 Sardegna Adventures motorcycle customized tours, is an organization that offers tourist and sports services to all enduro and road motorbike fans: 4x4 excursions, hiking in Supramonte, mountain bike and boating. The organization's goal is to reveal every aspects of the legendary beauty of Sardegna, from nature to folklore to traditional cuisine. Sardinia Adventures will take you to the remotest and most amazing corners of the island. Riding with us you will discover an unusually wild nature and cross countless tracks and paths being surrounded by stunning ladscapes. Sardinia's territory is extremely varied and is characterized by mountains rich of forests, spring waters, sand dunes, immaculate beaches and breathtaking limestone cliffs. The exploration of this unique environment is combined with the possibility to appreciate the island's typical products and to rediscover old flavors and an authenticity lost elsewhere. Sardegna Adventures's goal is to offer you an holiday away from chaos and to reveal you a side of the island unknown to most of the tourists. Owner and guide of Sardinia Adventures, he has a deep knowledge of the territory, history and of the nature of Sardinia. Biker 365 days a year, he's on and off-road tour guide. Lover of both technical routes and asphalt roads, Alessandro cooperates with Sardegna Adventures during springtime and autumn.